Jim Eaton has lived in Colorado, New Orleans, and Nashville. He born and raised in the Northlands of Kansas City. The band is now based out of Platte County. They travel extensively in the Midwest and South. Playing festivals, concerts, private events, as well as the beloved honky-tonks along the way. The Whiskey Benders have played the Grand Ole’ Opry Plaza Parties in Nashville. As well as the famous venues on lower Broadway. In Kansas City, they have opened for Aaron Tippin, John Michael Montgomery, Blake Shelton, Josh Gracin, and Carolina Rain. Jim Eaton and the Whiskey Benders opened Y’allapalooza at Verizon Wireless last summer. Playing sing-along favorites and a unique list of original songs, many are comparing Jim Eaton to the original outlaws, but with a flare all his own. Outlaw Jim and The Whiskey Benders are a hard-hittin’ Outlaw Country band with roots in the sounds of Waylon Jennings and Merle Haggard, as well as influences from New Orleans Funk and Southern Rock. 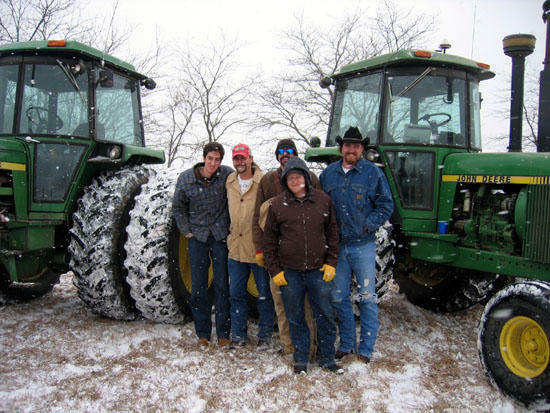 They have traveled extensively in the Midwest and South, playin’ festivals, concerts, private events, as well as the beloved honky-tonks along the way. They have played The Grand Ole’ Opry Plaza Parties and famous venues on Lower Broadway in Nashville, numerous bars and festivals in New Orleans, and mountain towns in The Rocky Mountains. In their hometown of Kansas City, Missouri, they have opened for David Allan Coe, Billy Joe Shaver, Sammy Kershaw, Aaron Tippin, John Michael Montgomery, Jason Boland and Stragglers, The Wilders, Rex Hobart & The Misery Boys, Blake Shelton, Josh Gracin, Carolina Rain, and opened Y’allapalooza at Verizon Wireless Amphitheater in 2008. Playin’ a unique list of original songs and sing-along favorites. Many are comparing Outlaw Jim and The Whiskey Benders to the original outlaws, but with a flare all their own.